Did you miss Erick Swenson’s lecture last week? 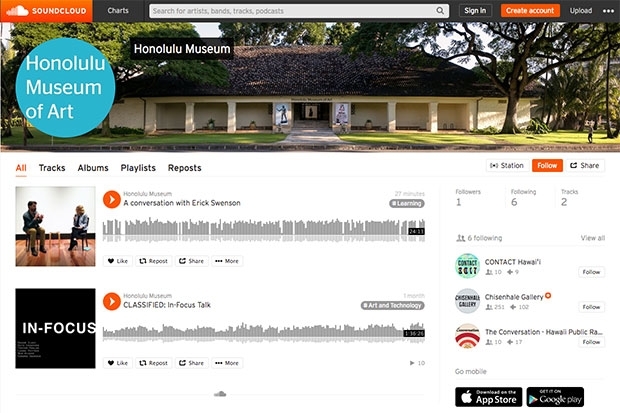 Not to worry, you can now listen to a conversation with Erick Swenson and assistant curator of contemporary art Katherine Love, exclusively on HoMA’s new Soundcloud channel! Listen online here or go to the Soundcloud tab in the HoMA app. Follow HoMA on Soundcloud for more behind the scenes conversations, artist talks, and exclusive audio content.